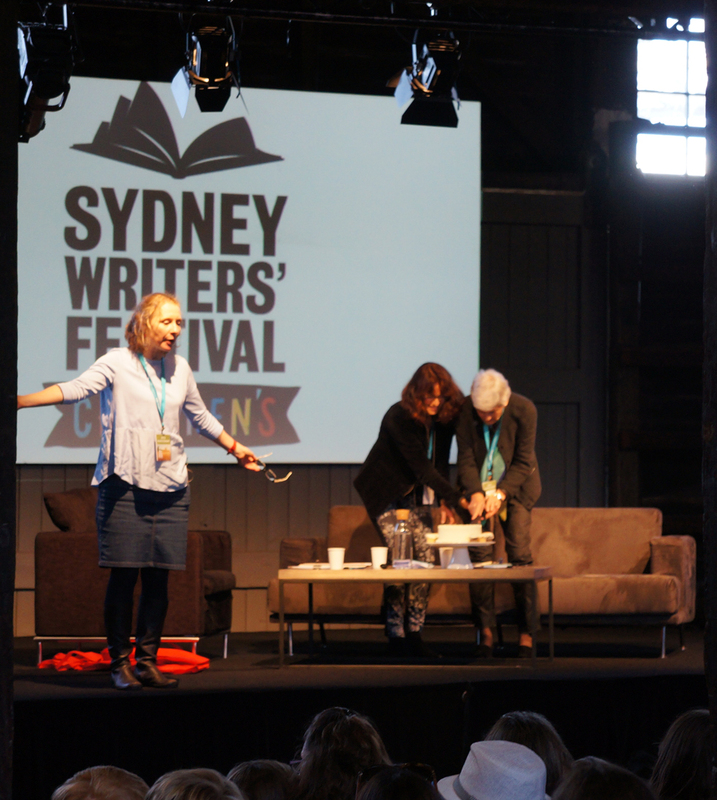 At Sydney Writers Festival we celebrated Tashi turning twenty in the only way appropriate, inviting all his friends and readers to join authors Anna & Barbara Fienberg for a big birthday party! Barbara and Anna were joined by our publisher Anna, and all three captivated the kids in the audience, with stories, quizzes, a Q&A, a screening of a TV episode and of course cake, after singing Happy Birthday to Tashi of course! 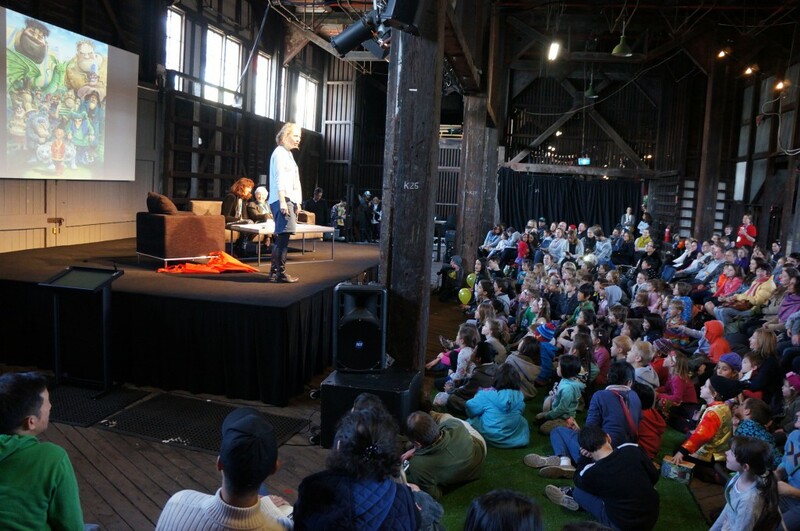 There was even a Tashi in the audience (can you spot them in the crowd above?). 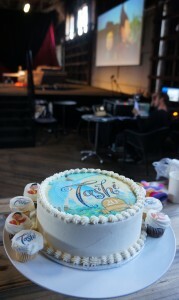 The gorgeous birthday cake & cup cakes! 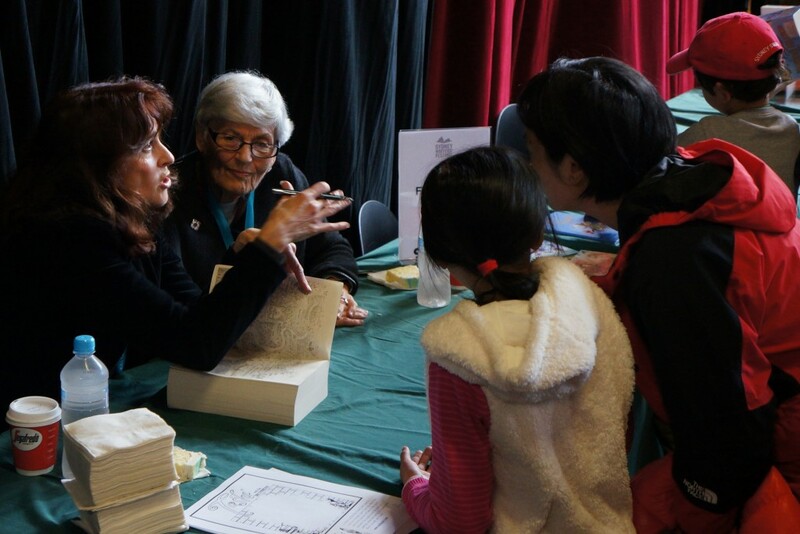 Win a signed book & poster pack! 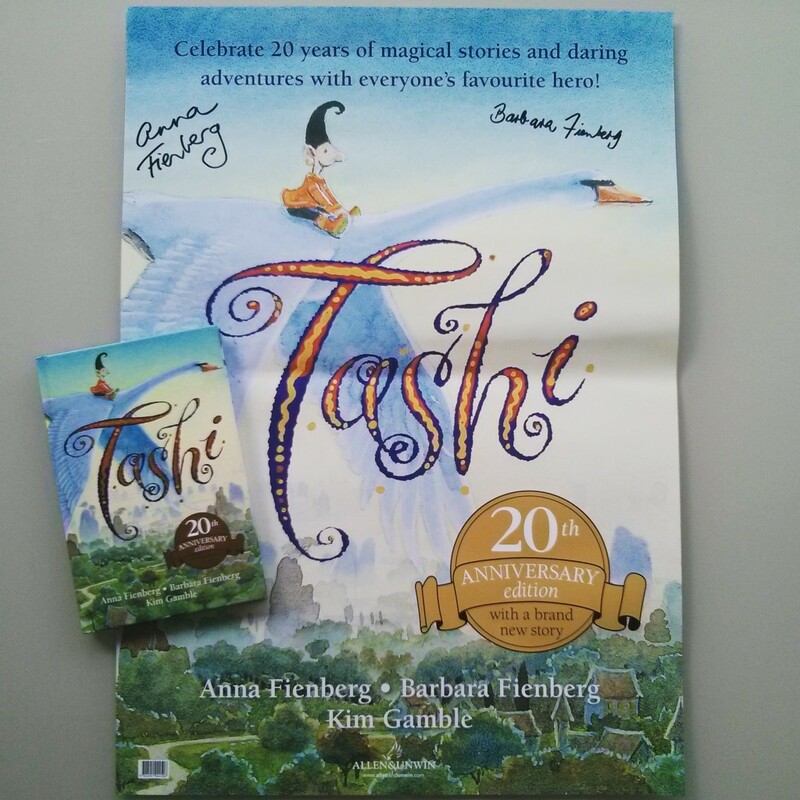 We’ve just republished Tashi in a beautiful hardback 20th anniversary edition, with a brand new story Tashi and the Silver Cup, so to celebrate Tashi’s bithday with everyone else who couldn’t be there, we’re giving away a signed poster and copy of this new book. 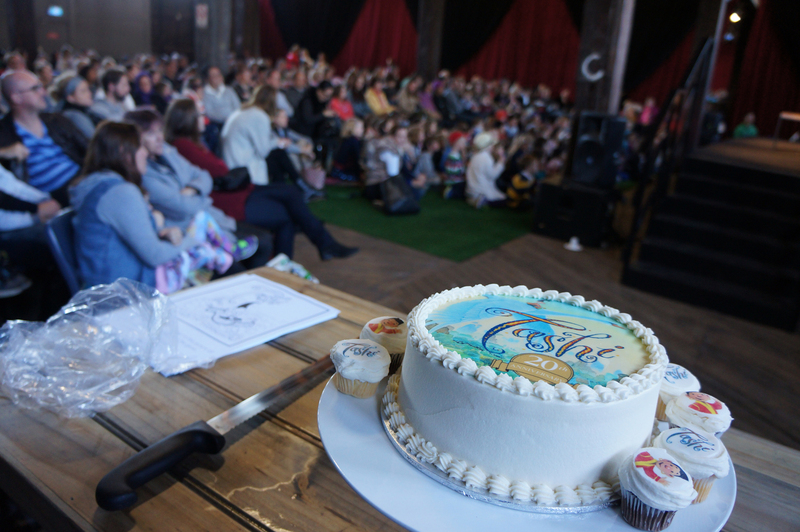 To enter you can answer in the comments below or by telling us elsewhere on social media what tall tale Tashi should tell next, with the competition open to Aus/NZ residents only, with entries closing 10am AEST Monday 1 June. Signed Tashi poster along with a signed copy of the gorgeous new book! 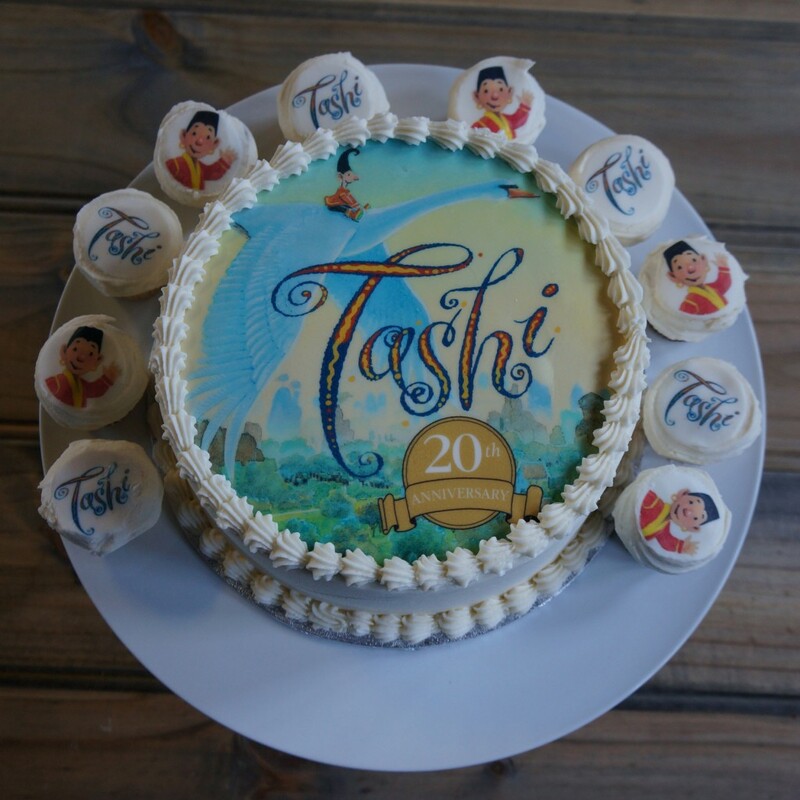 You can learn about how Tashi came about in this blog post on How Tashi Got His Tale and see here for behind the scenes of some of the beautiful imagery of our last book Tashi and the Wicked Magician. There are also lots of fun activities and useful resources for parents and teachers over on Tashi’s website. 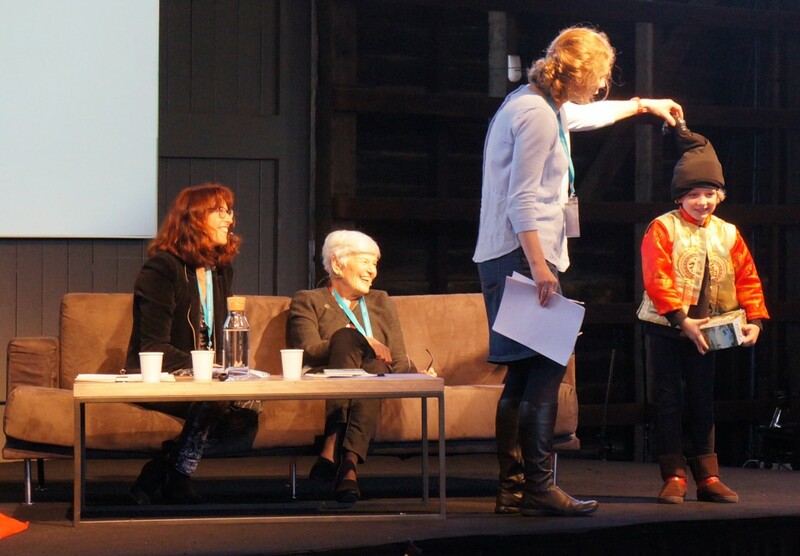 And if you’re interested in writing children’s books, we’re very lucky to have Anna Fienberg (and our publisher Anna) teaching a Faber Writing Academy course on Writing for Children in Sydney this August. This is the perfect beginner writing course for people who wish to write for children, and runs over five Thursday evenings – you can see the full course schedule and find out more here. 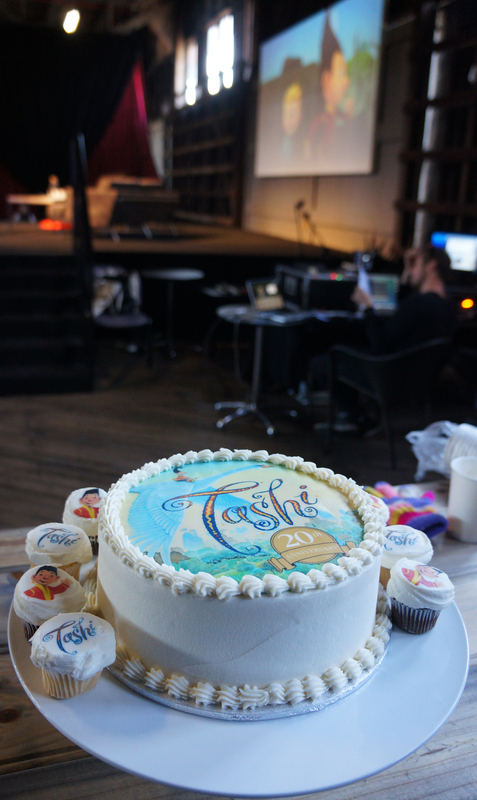 We’d also love to hear your memories of Tashi, whether as a child or with your own children or grandchildren – let us know in the comments, on Twitter, Facebook or elsewhere with #Tashi20!